My name is Dave, Im 22 years old, and I'm from the Netherlands. Im going by the name of DrBonzai and I just joined the TAW Fortnite team. My first impressions are very good, and can't wait to meet you all! Greets and hope to speak to you soon. Welcome to the TAW family. Glad you're having a good time so far. Please feel freento check out the TAW Shop for any of your swag needs. 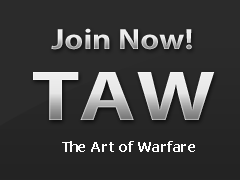 Welcome to TAW. Nice to have you in Fortnite with us. Great to have you with us ! Enjoy the community. Lots of great people here.